Some of the classics are hard to read. Either we do not understand the language or the story is not as fast paced as the latest thriller. However, there are so many great things about them. They have survived the times. The stories still speak to readers today. One of greatest is the bard, William Shakespeare. I read several plays during high school English, my favorite being Hamlet. Do you have trouble with Shakespeare? Trust me sometimes I do too. Check out Alyssa’s blog post about her recent interest in the works of Shakespeare. First line: It is not the usual interrogation. Summary: When Katherine’s father is killed in front of her she vows that she is going to take revenge on the person responsible, Queen Elizabeth I. She travels to London dressed as a boy to meet with fellow Catholic conspirators to hatch a plan to kill the Protestant queen. Toby, an agent of the queen, is on the lookout for any assassination plots. When he teams up with William Shakespeare and his company of players, he sets a trap for the would-be assassins. However, Katherine and Toby are drawn to each other complicating both of their missions. Highlights: Assassination plots and William Shakespeare?! Yes please! I found the story to be lots of fun from the very beginning. I enjoyed both of the main characters. Katherine is a strong willed young girl who is determined to avenge her father. Toby is a heartbroken playwright working as a spy for the queen. I loved watching Katherine throwing off her inhibitions as she took on the role of a man. She gets to see things that women would not be privy to normally. As their relationship progresses I got more and more nervous about how the story would end. This story was fit for Shakespeare with the mistaken identities, daring murder attempts and tragic love. Lowlights: I would have loved more Shakespeare. Any time he entered the story it became even better! His patron even mentioned how he liked to make up words, which he does throughout the story. Such a nice little historical tidbit to add into the dialog. 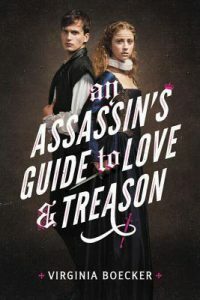 FYI: Perfect for fans of A Lady’s Guide to Petticoats and Piracy by Mackenzi Lee. First line: On the day of departure, guests are requested to vacate their rooms by noon. Summary: When British acting student, Claire, is struggling for money to pay rent she starts work at a decoy for a law firm in order to entrap straying husbands. However, on her last job the wife ended up dead the next day. In order to find out who the killer is they ask Claire to try to get a confession out of the husband. As she immerses herself into her character, the lines between the act and reality begin to blur. Highlights: In the second novel by J.P. Delaney we get a twisty psychological thriller. I was certain I had the story figured out. I was wrong. There were so many decoys and little tidbits that make the reader believe one thing when it can mean something completely different. The story was FAST! I could not believe how quickly I read this and how hard it was to put down. I loved being inside Claire’s head even though it got a little troublesome at times. The way she viewed everything as a production was a fun styling choice for the author. Lowlights: I do not believe there were many lowlights other than the fact that it is not something new or astounding. It is a great read but it is not groundbreaking. Enjoy it but do not look for the next Gone Girl. 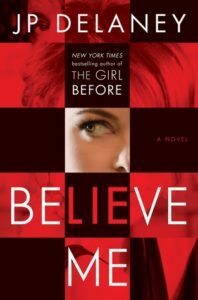 FYI: Try Delaney’s first book, The Girl Before. Have you ever read a book about a historical figure and then had to jump on Wikipedia to learn more about the person? I have. All the time. 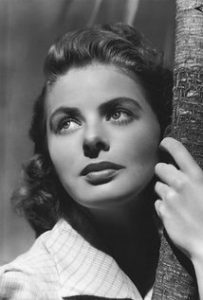 My most recent historical obsession is Ingrid Bergman. I have been reading the newest book by Kate Alcott, The Hollywood Daughter, which is about a young girl who lives in L.A. and idolizes Ingrid. She meets the famous actress and follows her career through its ups and downs. The movie, Anastasia, with Ingrid Bergman and Yul Brynner was my first introduction to this iconic actress. She was beautiful and talented. As I am reading the main character talks about the movies that Ingrid has starred in and I immediately started adding them to my library hold list. 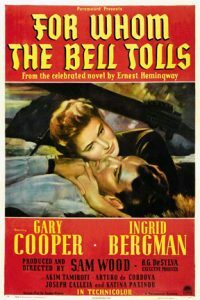 This week I have delved into The Bells of St. Mary’s and Notorious. 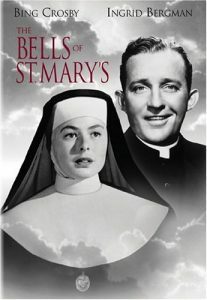 Both were great but I was particularly taken with the chemistry between Bing Crosby and Ingrid in the Bells of St. Mary’s. 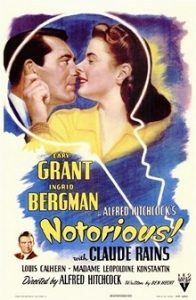 I searched IMDb.com for trivia on the movie Notorious and found that Cary Grant and Alfred Hitchcock became lifelong friends with Ingrid after filming ended. 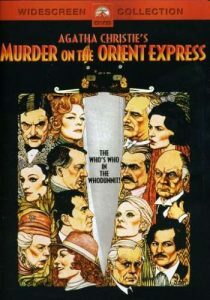 I still have For Whom the Bell Tolls and Murder on the Orient Express to watch and I am greatly looking forward to them. This enchanting Swedish actress that took America by storm in the 1940s has put me under her spell. Check back soon for my review of The Hollywood Daughter by Kate Alcott.